Apple’s own word processor Pages will allow you to export your files in formats that are compatible with Windows, such as .doc. However, there some users that may find themselves unable to send anything but the original .pages file to friends, family, or co-workers using Windows. Or, for example, maybe you’re at the office with .pages files on a hard drive and only a Windows PC. Luckily, there is a way to get around this. Files from Pages ’09 are archives that contain many files. You can view these files by changing the file extension from .pages to .zip and unzipping the file. Within the archive will be a ‘QuickLook’ folder that will contain a Preview.pdf. 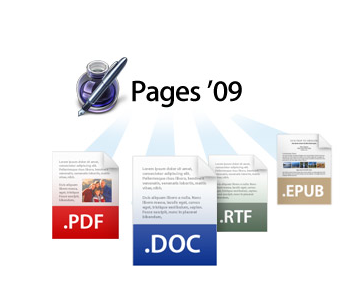 Windowsusers can grab this file and view or print the content of the original file as a PDF. The Windows user you’re sharing with will need a PDF editor if they plan to edit the file, but otherwise this tip works great. This will also work with Numbers and Keynote files as well. However, it will only work if “Preview in Document” was checked when the file was saved in Pages or any other iWork app. This option is checked by default.